What if we told you you can get all of the beautiful memories with your partner etched on your lehenga? Read on, for we’re changing your trousseau plans. Love is a beautiful thing and to express it creatively is even better. 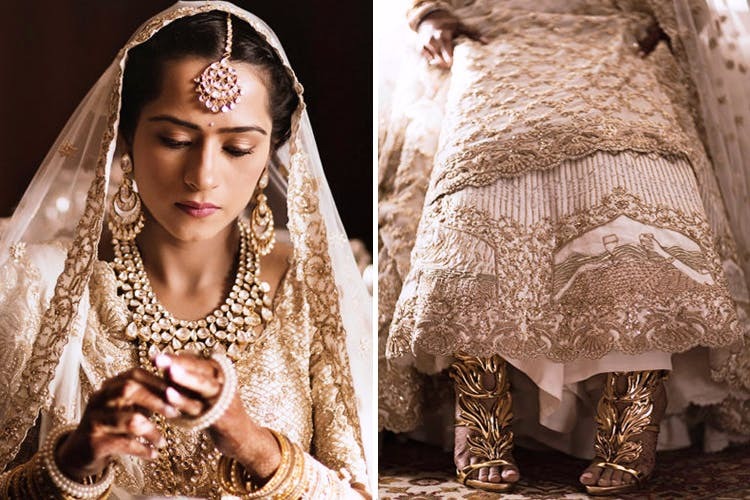 That’s exactly what designer Kresha Bajaj did for her wedding almost two years ago, etching each milestone of her journey with her husband on her wedding lehenga. Right from her proposal to her vacation memories with her husband, she had everything she cherished on her lehenga. If you want to do the same, you’ll have to approach her brand Koëcsh, and get one made for yourself. The idea is to not look at your wedding attire as a ‘one-time’ wear. It will, in fact, become a piece of art. A lot of hard work is put into each piece and naturally, it’ll come with a hefty price tag. Starting at about 3,50,000 upwards, Kresha is open to working within a client’s budget range, if possible. If your big day is fast approaching or you like to plan way in advance, give this a thought. It’ll be a sweet gesture for you better half and the memories you have with them.